The Turfgrass Academy develops and facilitates training in the golf course maintenance industry. This in an industry with a large amount of “unqualified” people working in it who until now have not had access to industry specific training in South Africa. * Industry specific, relevant training which has been specifically compiled based on comprehensive research in the South African Golf Course Maintenance Industry. * Mentorship & interaction on the online discussion platform with various seasoned Golf Course Superintendents who have had years of experience in various areas around South Africa. * Feedback & Support from South African Industry partners who are familiar with the products that are used locally and can relate to the challenges that South African Superintendents may face with regards to specifics such as climate, infrastructure and legislations. One of the key objectives of the Turfgrass Academy is to develop what will be the first occupational qualification for the golf course maintenance industry in South Africa. We have been appointed by the QCTO (Quality Council for Trades & Occupations) to develop this learning program in 2019. This process will result in a nationally recognised and registered qualification for golf course superintendents for the first time in South Africa. 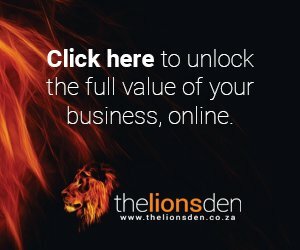 How will you use the R100k prize in your business? The prize money would go largely towards covering the costs of getting the “QCTO course” up and running. There are lots of meetings to host with various stakeholders in the industry and the Turfgrass Academy carries every cent of these costs. It would also be put towards a good marketing project to aid in generating more business.